This week my travels took me from sea to shining sea … or pretty close. I started out in Chicago as a panelist at AREAA’s 2015 Global & Luxury Summit then drove toward the outskirts of the Windy City to visit the Berkshire Hathaway HomeServices Starck Real Estate team. 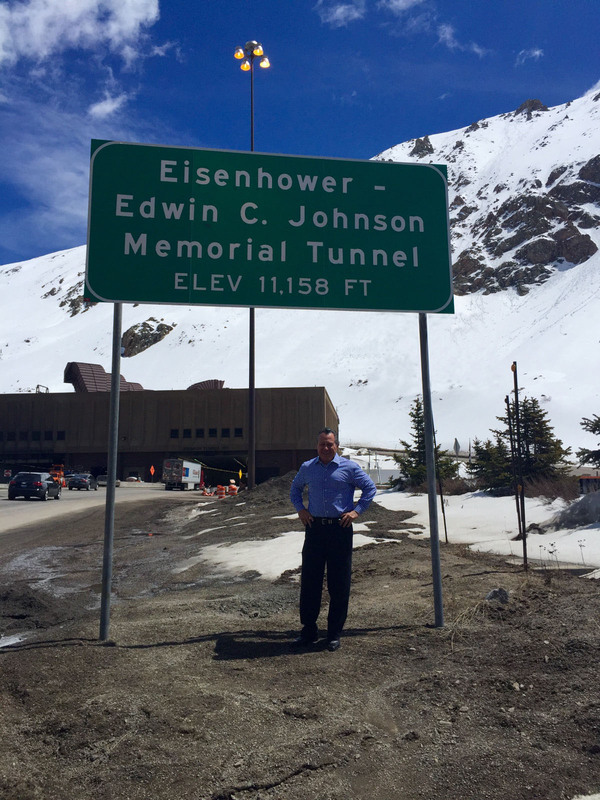 From there, it was off to Lancaster, PA to spend time with Berkshire Hathaway HomeServices Homesale Realty and finally, my week ended among the snowcapped mountains of Vail, CO and the agents, managers and staff at Berkshire Hathaway HomeServices Colorado Properties. If you’re counting, that’s a gain of almost 11,000 feet in elevation. Here are my calculations: Chicago sits 576 feet above sea level, Lancaster is positioned a humble 368 feet higher than the sea and then Vail soars to 8,150 feet beyond sea level, though the car ride from Denver to Vail takes you to peaks just above 11,100 feet. But these are just numbers … what more can be said about the substance of my trip? Driving from Denver to Vail, CO.
Famed novelist Marcel Proust once wrote, “The voyage of discovery is not in seeking new landscapes but in having new eyes,” and this journey certainly gave me a fresh perspective. I realized, as I made my way from one city to the next, that the key to effective leadership is the very thing I was experiencing … elevation. Great leaders elevate those around them, reflecting their greatness upon all those for whom their insights are created and put forth. Let me explain: Each company I visited had a very particular, defining and unique composition, from the size of the company, to its marketplace to its company mission but there was one common thread uniting them all: solid leaders. These individuals—Andy Starck at Starck Real Estate; Doug Rebert, Rod Messick, Pete Slaugh and the leadership team at HomeSale Realty; Michael Slevin at Colorado Properties—are just fantastic human beings. Every single one of them embodies the true paradigm of what a leader should be: someone determined to help people improve and grow. So, what’s the message? The best kind of leaders are those who understand the concept of elevation, of taking a talented, hard-working team and helping them soar to new heights. I believe this one to be my favorite yet! Wonderful message. Thanks for the visit to Vail! Inspiring and moviating. Enjoyed it so much. I’m impressed that Gino took those 3 stops and connected elevation to get an up lifting weekly pick me up. So glad you joined us out here in Lancaster PA! Thanks for writing this article. I have always been a firm believer that leaders are not afraid to help others reach their full potential and let them shine. The agents in those offices are very lucky.